What do the certification stand for? TSG strives to comply with or do better than certification standards. Our development team is forever growing its knowledge to make sure that TSG products meet and exceed the latest safety requirements in all conditions. Only certified products are legal to bring on the market. Ever wondered what the certifications that are mentioned on the product pages stand for? 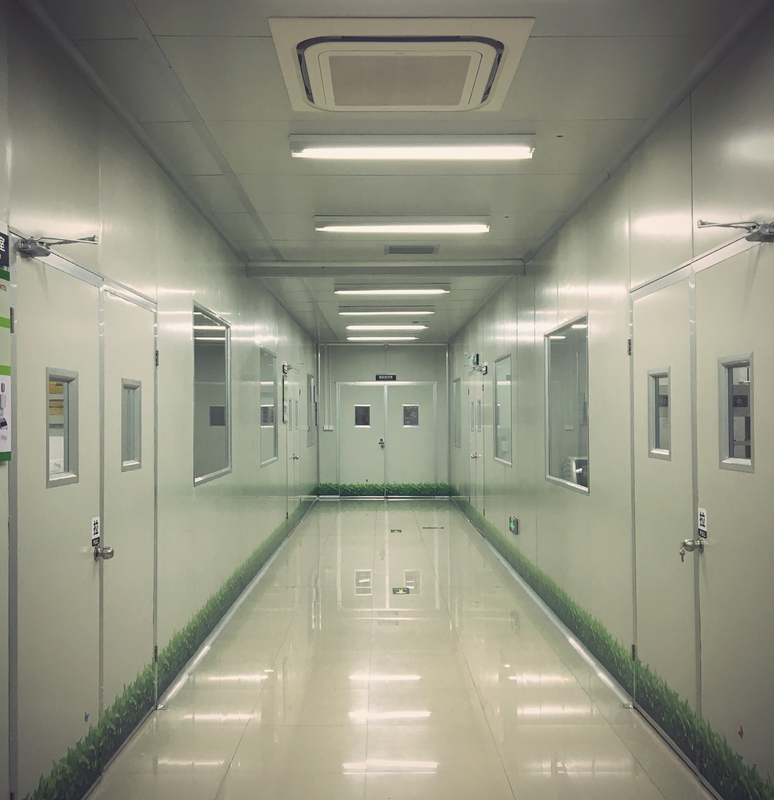 Learn more about the different standards and what testing our protection products need to go through prior to be launched into the market and put to use by you. Depending on the product type different tests are run. Here you can read which tests a TSG protection product goes through before you can use it. 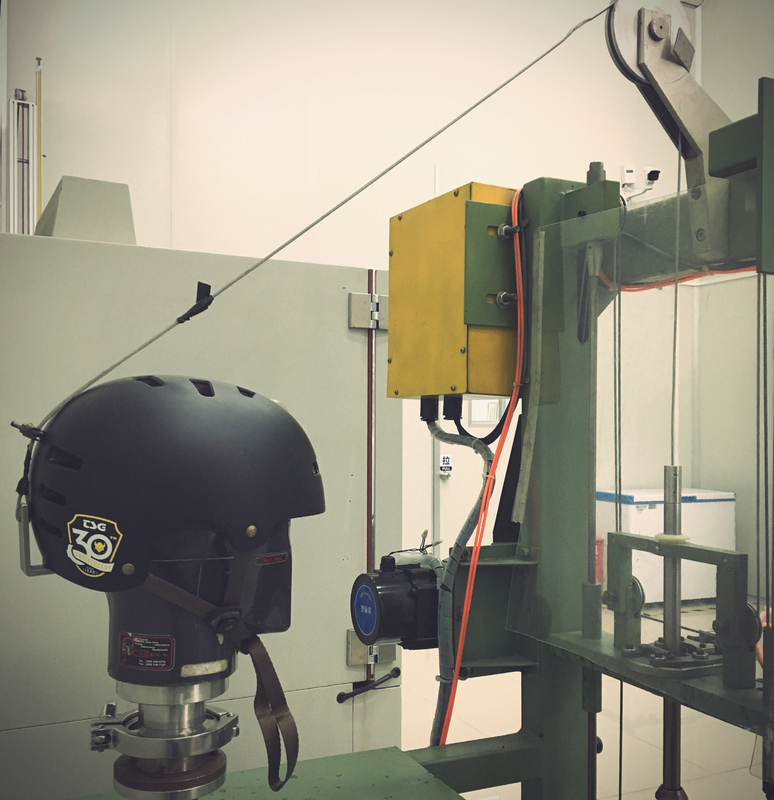 During impact tests, a series of controlled impacts are performed positioning a helmet on a metal head form and then dropping it in a guided fall onto various steel test anvils (flat, hemisphere, curbstone, edge…) which simulate different impact surfaces. The head forms are instrumented with an accelerometer to measure peak deceleration when the head form hits the anvil. The impact energy (drop height and mass) or how hard the helmets are impacted is unique to each standard. In a valid test, if peak deceleration exceeds certain threshold values, the helmet is rejected. 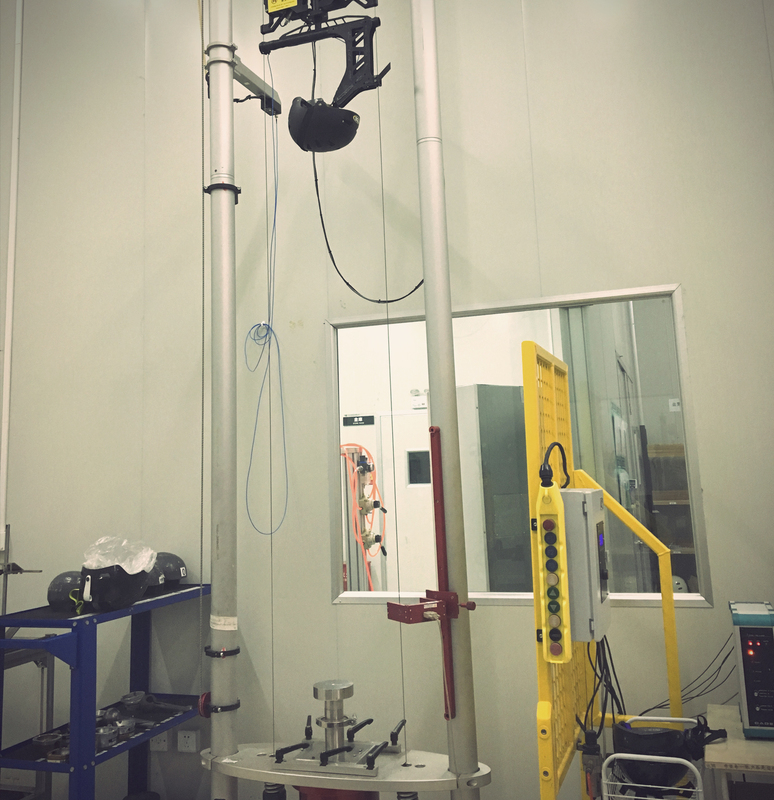 In a roll-off test, a head form is mounted on a stand. The helmet is then placed on the head form and the straps and buckles adjusted. With a wire rope hooked to the rear edge of the helmet it is brought forward so that its free end runs across the helmet and downward towards the floor. The free end of the rope has a mechanical stop with a 4 kg weight resting on the stop. The weight is raised to a prescribed height and dropped onto the stop. The resulting shock places a rotational load on the helmet. The helmet may be shifted, but must not roll off the head form. 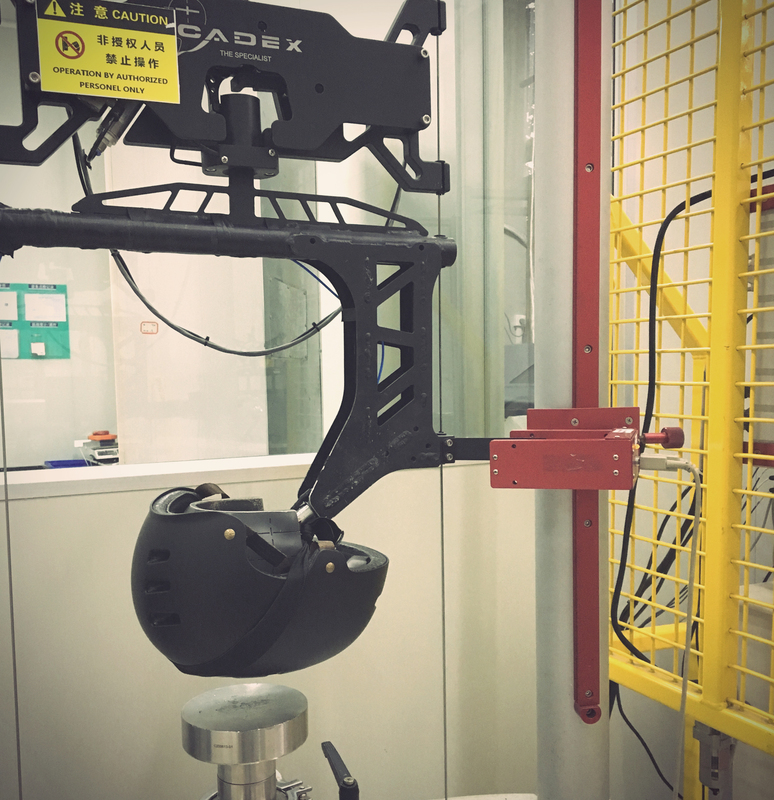 Next, the head form is rotated 180 degrees, the helmet adjusted, and tested with the wire rope hooked to the front edge of the helmet and the test is repeated. As in the first case, the helmet may be shifted but must not roll off the head form. EN 1077 covers helmet construction including field of vision, shock absorbing properties, shell penetration, retention system properties including chin strap and fastening devices, as well as marking and information. There are two versions of the EN-1077 standard: Class A and Class B. 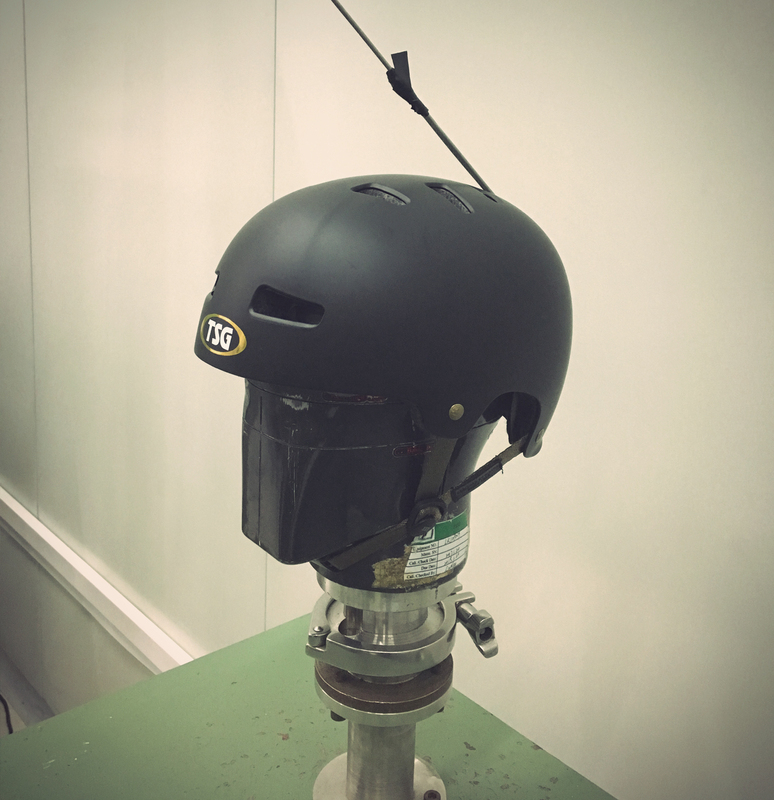 The Class A standard requires protection over a larger area of the head—top, rear and sides, including the ears and the penetration resistance test is done from a greater height. A Class A helmet cannot have detachable covers over the ears as no part of the helmet should be detachable throughout the minimum protective area. Class A is required only for professional ski racing helmets. Class B does not require ear coverage, allowing for better hearing and ventilation, but less overall protection in some rare accidents. So if you are not part of the FIS ski circuit as Class B helmet is what you should aim for. 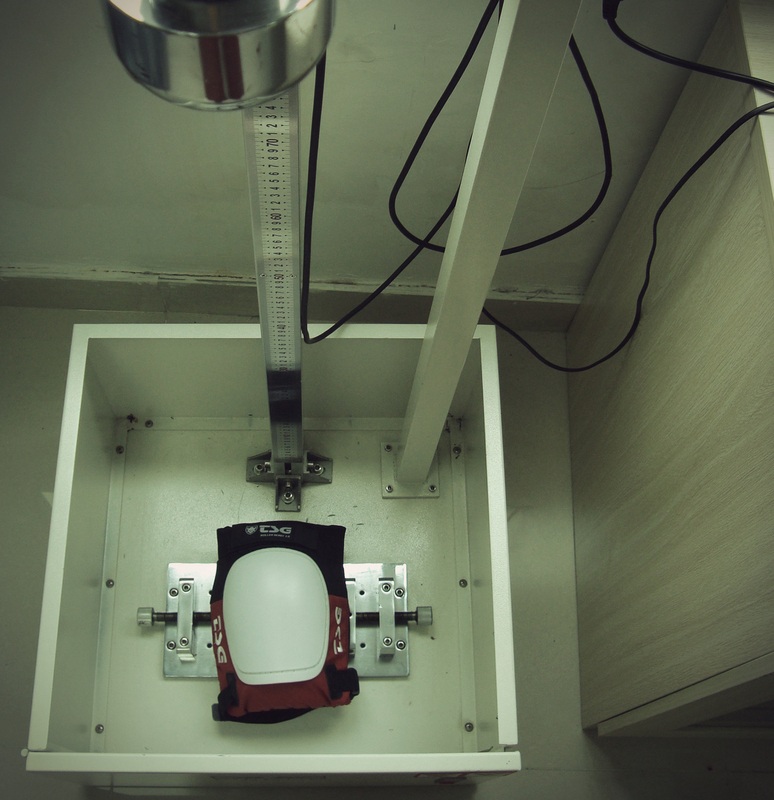 EN 1077 demands that peak deceleration does not exceed 250g when hitting the flat anvil with an impact energy of 89J. Testing is carried out in high temperature, low temperature and UV ageing environments. EN 1078 covers helmet construction including field of vision, shock absorbing properties, retention system properties including chin strap and fastening devices, as well as marking and information. EN 1078 demands that peak deceleration does not exceed 250g when hitting the anvil. Impact energies differ from flat anvils with 89J and kerb anvils with 65J. Testing is carried out in high temperature, low temperature and UV ageing environments. EN1385 demands that peak deceleration of the head form does not exceed 250g when hitting the flat anvil with an impact energy of 29J. Additionally there are roll-off and chinstrap tests. Testing is carried out in high temperature, low temperature, UV ageing and water immersion environments. The GS or “Geprüfte Sicherheit” (tested safety) Mark is a voluntary certification mark applied to finished products that signifies their compliance with all of the statutory requirements of the German Product Safety Act (ProdSG), which are more stringent than the EN standard. Since ist introduction in 1977, the GS Mark has been used to provide confirmation that a product poses no risk to the safety and health of its users when used as intended. CPSC demands that peak deceleration of the head form does not exceed 300g when hitting the anvil. Impact energies differ from flat anvils with 98J and kerb and hemispheric anvils with 58J. The zone of coverage is smaller as for the European standard. Additionally there are roll-off and chinstrap tests. 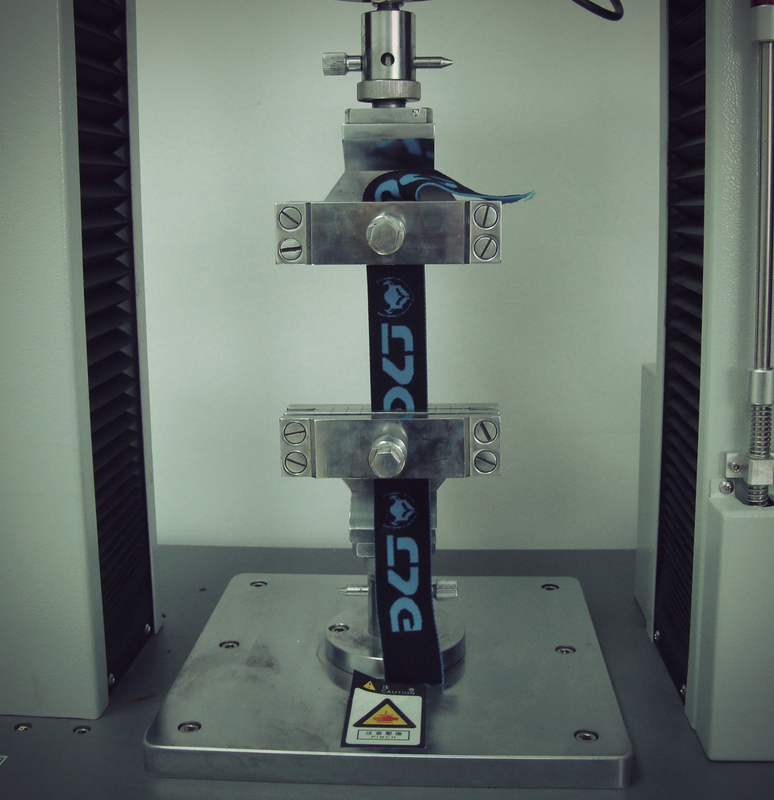 Testing is carried out in high temperature, low temperature and wet environments. This downhill mountain biking helmet standard features greater impact energies and on the hemispheric and kerb anvils than the CPSC. The zone of coverage is larger on the sides and back of the helmet than most other bike helmet standards. If a helmet does feature a chin bar, the bar must pass a deflection test: to pass the test, the chin bar must not deflect more than 60mm with an impact energy of 20J. F1952 demands that peak deceleration of the head form does not exceed 300g when hitting the anvil. Impact energies differ from flat anvils with 98J and kerb and hemispheric anvils with 78.5J. Additionally there are roll-off and a chinstrap tests. Testing is carried out in high temperature, low temperature and wet environments. ASTM F20140 demands that peak deceleration of the head form does not exceed 300g when hitting the anvil. Impact energies differ from flat anvils with 98J and kerb, hemispheric and edge anvils with 58.8J. The zone of coverage is smaller as for the European standard. Additionally there are roll-off and a chinstrap tests, but no penetration tests. Testing is carried out in high temperature, low temperature and wet environments. Assessment of the amount of force that is transmitted through the protector from the outside to the inner surface, and also impact strength which assess the strength of the protective shell to see if a fall would cause the shell to split or crack upon impact. A range of impact energies are used dependent on the mass of the intended wearer. 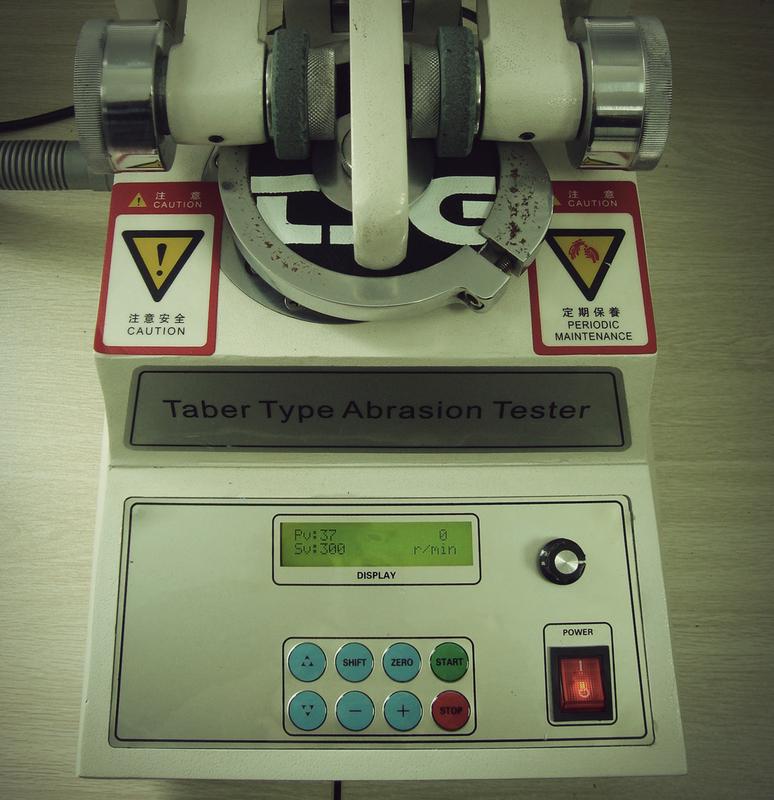 The test apparatus involves the sample being placed in contact with a moving abrasive belt of grit size OP60. Protectors are also assessed for their comfort and fit which involves an ergonomics assessment to ensure that there is no restriction of movement when worn by the end user, a restraint assessment to ensure that protectors remain in place during use, and an assessment which checks that the product does not contain any rough, hard or sharp edges that may cause discomfort or injury to the wearer or others during normal use. Assessment of the chemical properties of the materials used in the end products is also required. These materials are tested in accordance with the additional innocuousness requirements specified in EN ISO 13688: 2013 and include pH value, colour fastness to perspiration, chromium VI, azo colorants, nickel content, and PCPs. The standard also includes requirements for the labelling or marking and the information which suppliers and manufacturers should provide to wearers of their products to ensure that products are correctly used and users are fully aware of the level of protection that is being offered. Protectors for mountain biking and skiing/snowboarding are tested in reference to the motorcycle standards. There are two European standards covering “motorcyclists’ protective clothing against mechanical impact” – EN1621-1 and EN1621-2. EN1621-1 covers any body part protection except back/spine. EN1621-2 covers back/spine. Both standards assess the performance of protective devices by measuring the force transmitted through it when impacted by a falling mass. EN1621-1 assesses protectors designed to protect the shoulder, elbow and forearm, hip, tail-bone, knee and lower leg regions. The protector is mounted on a rigid 50mm radius metal hemispherical anvil which is connected to a rigid and massive base via a high speed force sensor. An impactor with a flat 80mm x 40mm strike face is then dropped onto the protector with an impact energy of 50 J. The lower the force recorded, the more protective a product is considered to be. To pass the standard the average transmitted force of 9 tests, hit at different areas of the protector, must be below 35 kN and no single test result should be over 50 kN. The standard requires testing in high and low temperature environments plus after storage in humid conditions. EN1621-2 assesses protectors designed to protect the back/spine. It is a more stringent standard allowing no more than 18 kN of force to be transmitted, and no single value shall exceed 24 kN with an impact energy of 50 J, to attain Level 1 protection (EN-1621-2 CE Level 1). Protectors that allow less than 9 kN of force to be transmitted, and no single value exceeds 12 kN with an impact energy of 50 J, can attain a Level 2 protection (EN-1621-2 CE Level 2). The test apparatus and procedure is similar to that of EN 1621-1, but with a different impactor and anvil configuration. The impactor is a rounded triangular faced prism. The anvil is a radiused cylinder, with its axis orientated to the direction of impact. So at the end what does it really mean? Well for example, in order to pass the CE testing for 1621-1 a protector hit with 50 J of energy should transmit less than 35 kN of force to the wearer. EN 14120 assesses the protectors for a range of protective properties such as impact and abrasion qualities as well as taking into consideration comfort and fit elements. Skate protection is either conform to Level 1 – Protectors intended to be suitable for normal roller sports or Level 2 – Protectors intended to be suitable for use in acrobatic roller sports.